Tomorrow, the first team will travel out to the site to start clearing the snow, assessing the winter-test tiles and plan out the construction site preparation. Today, we're showing the last of the pre-preparation photographs showing the snow conditions. 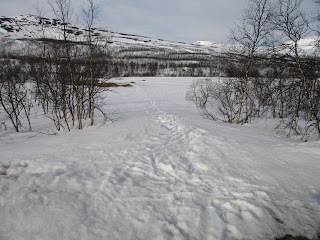 These photographs were taken on the 4th May 2011 by Oula Kalttopää. In the second photograph, if you look to the distant left, you can see one of the test tiles. 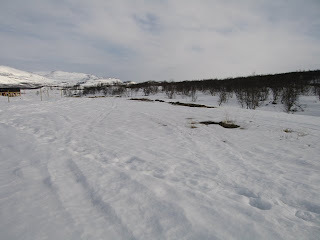 Finally, this last photograph shows that there are places which are starting to be clear of snow. 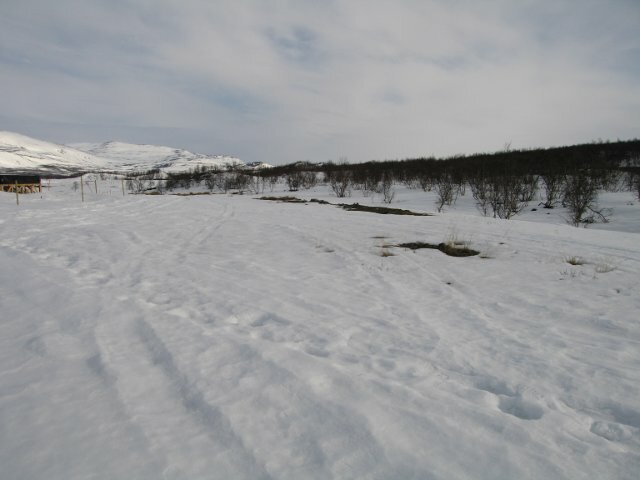 In the background is Saana mountain. As can be seen, there are places where the snow is still quite deep (up to 50cm). However it is also starting to clear in places on its own. 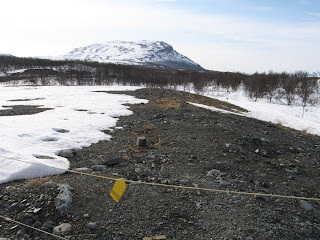 As we described in the planning article, this means that by forcing a clear, the sunshine should be able to sustain enough local heating on the dark rock surfaces to keep it clear from snow (whether fallen or drifted) between now and the start of ground works.